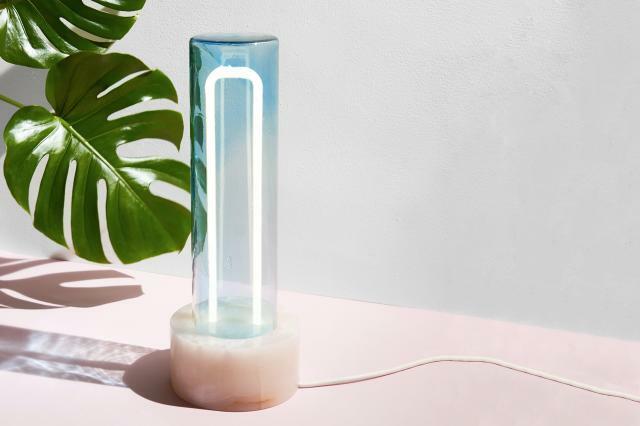 Mango juice, the smell of fresh strawberries, diving in a bright blue sea. 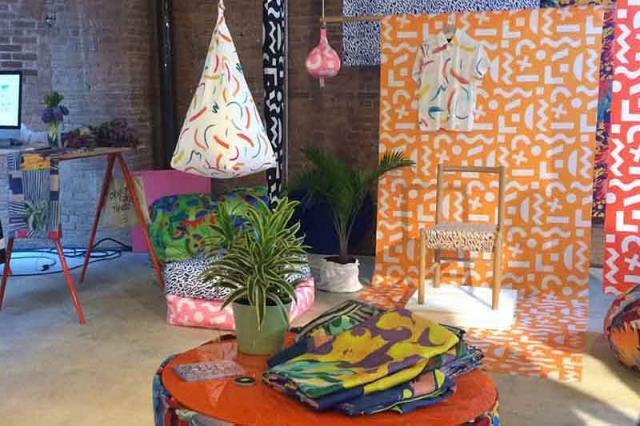 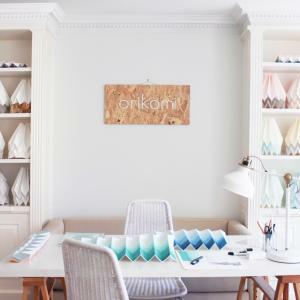 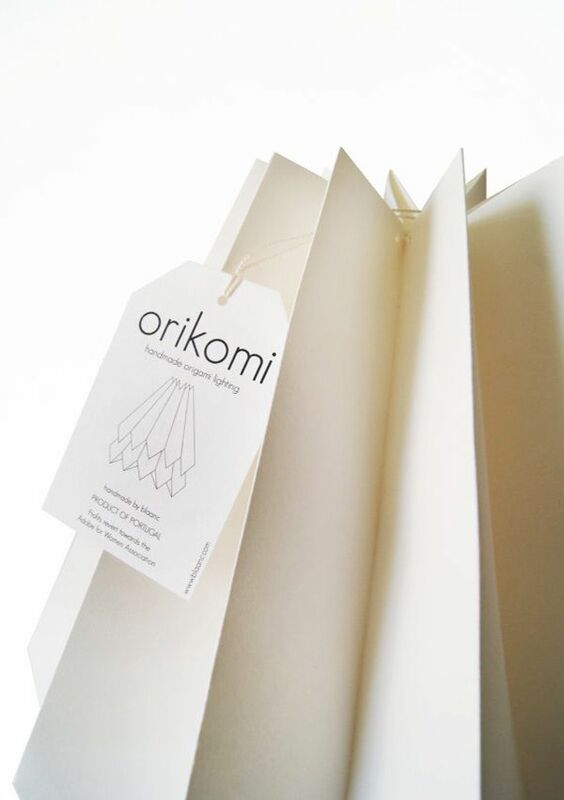 This is the spirit behind Orikomi Summer Collection. 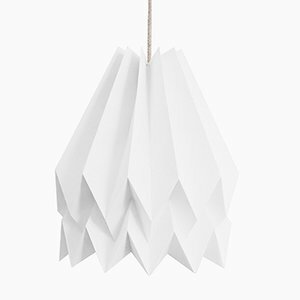 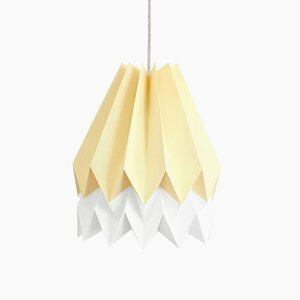 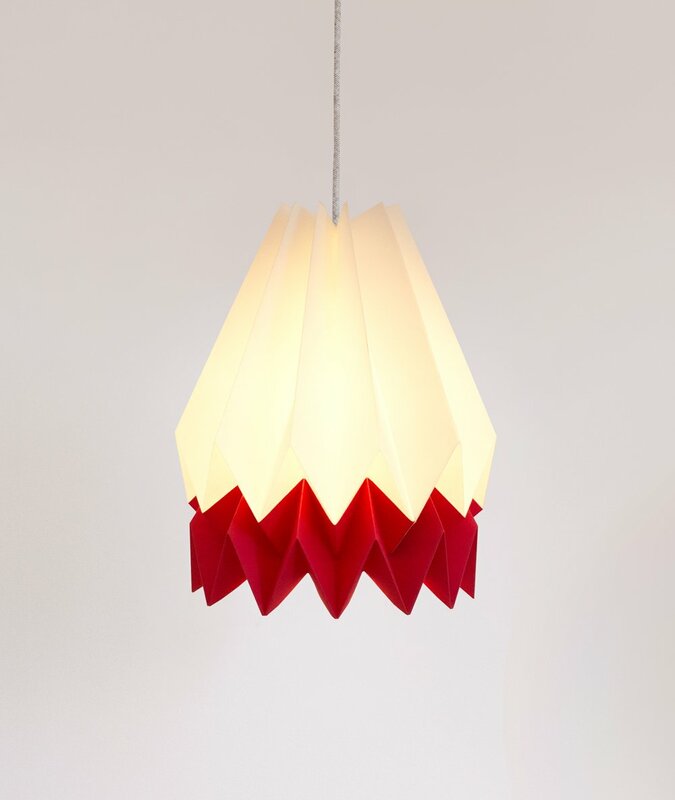 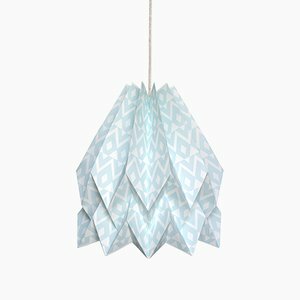 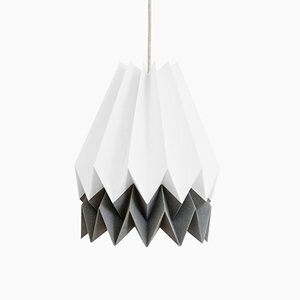 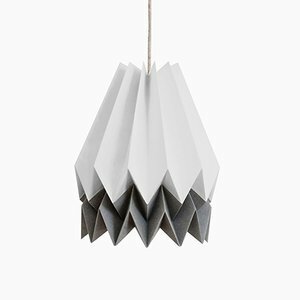 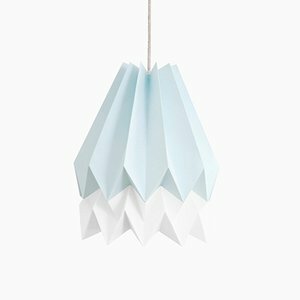 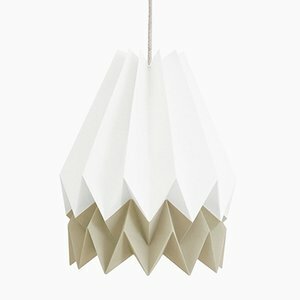 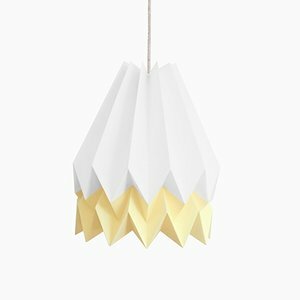 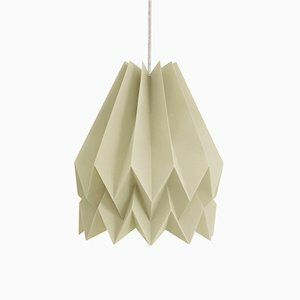 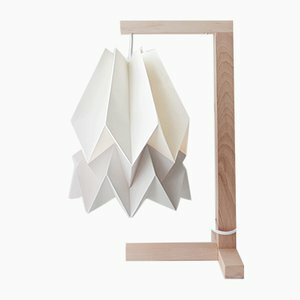 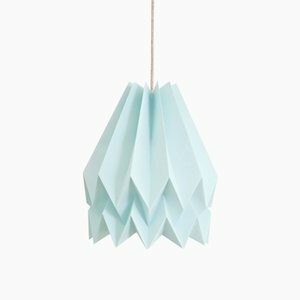 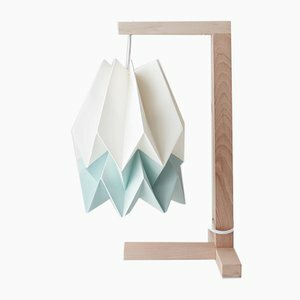 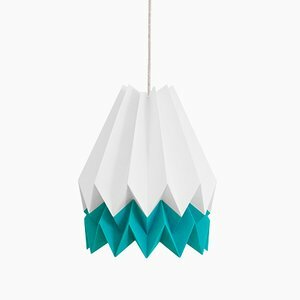 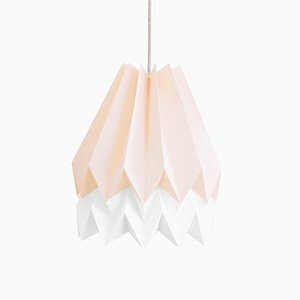 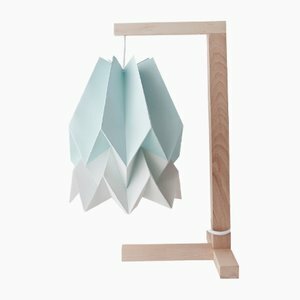 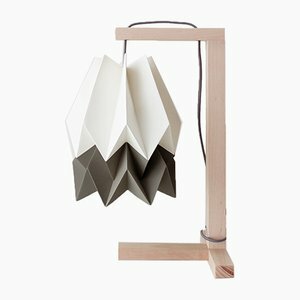 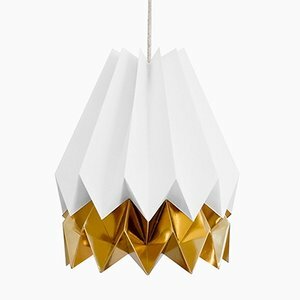 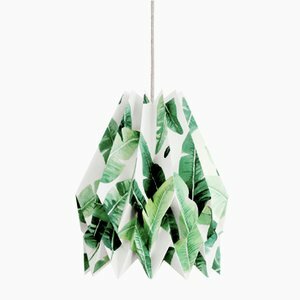 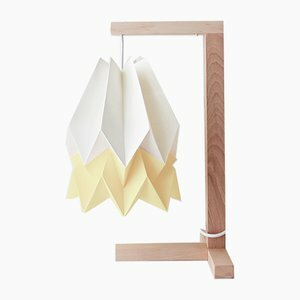 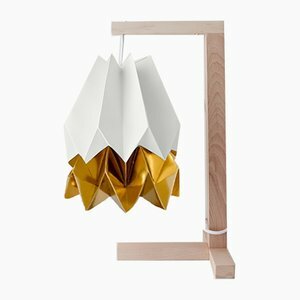 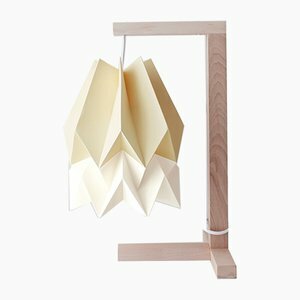 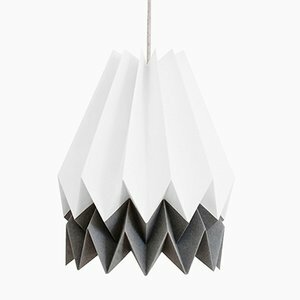 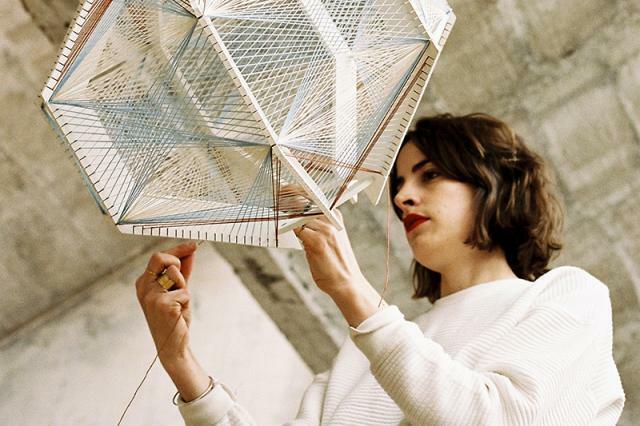 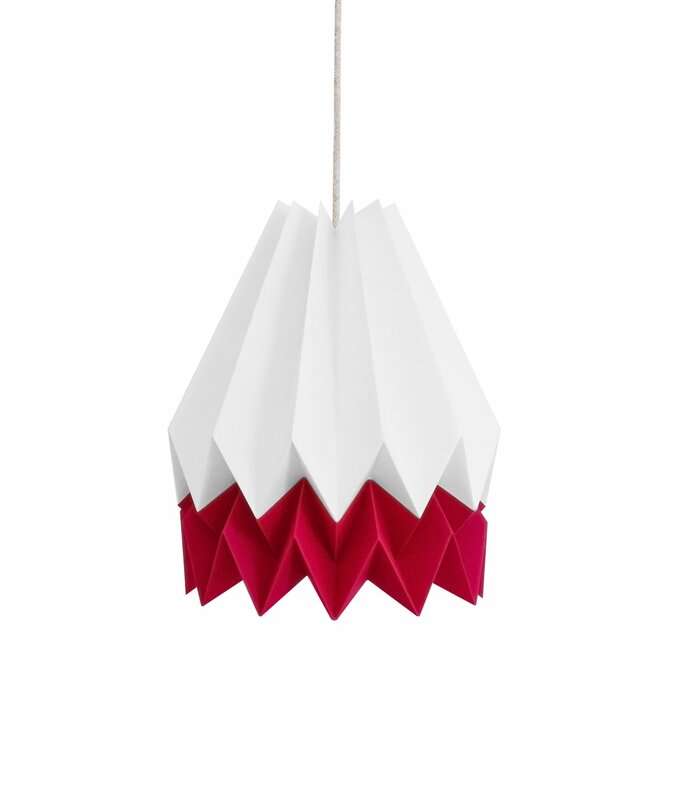 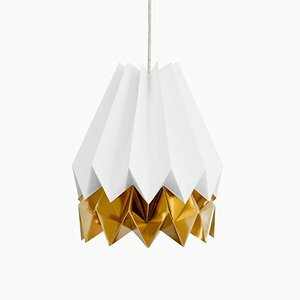 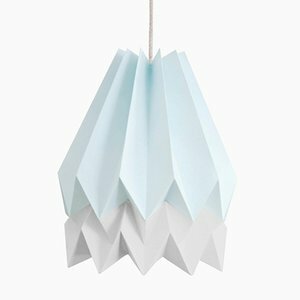 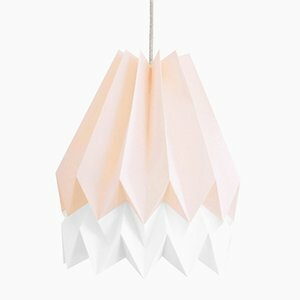 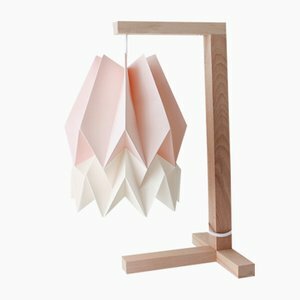 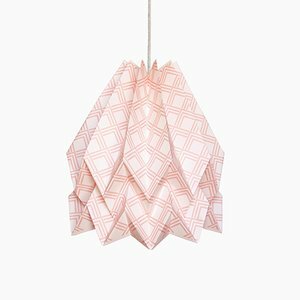 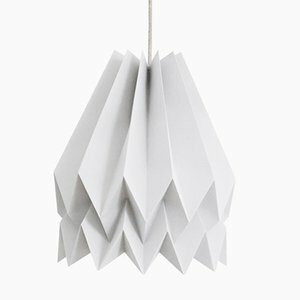 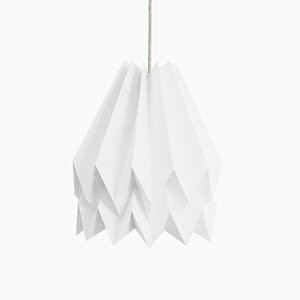 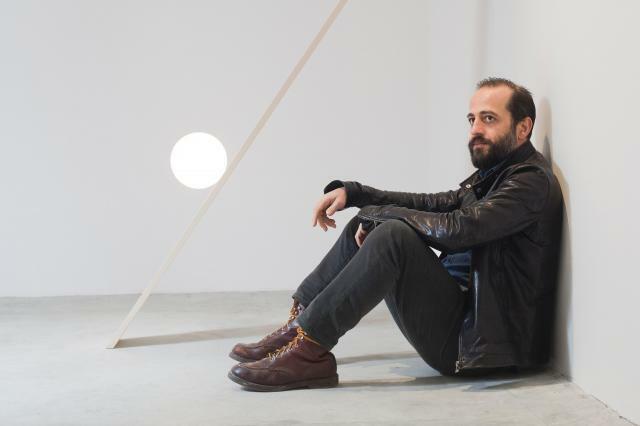 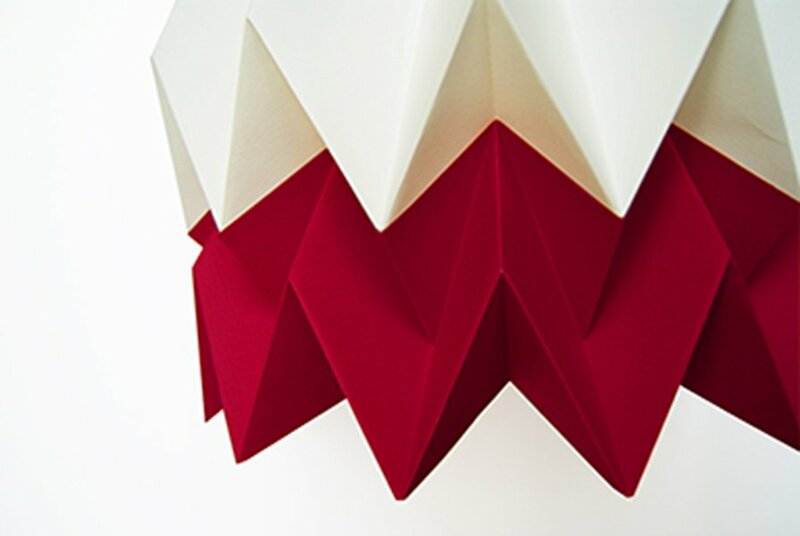 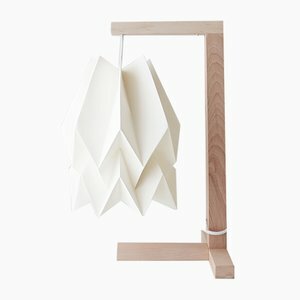 Orgami lampshades, inspired by clean lines and geometric shapes, are carefully handcrafted using high-quality paper with a wide variety of colors. 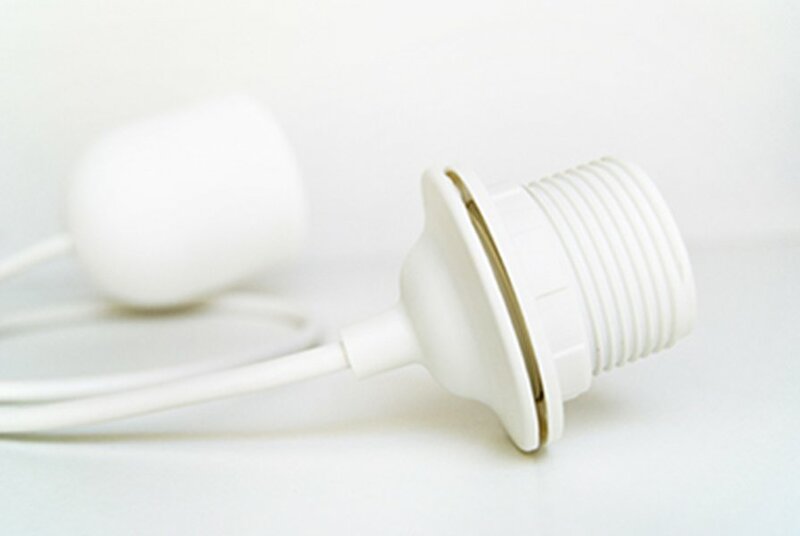 The lamp should ONLY be used with LED or energy saving light bulb. 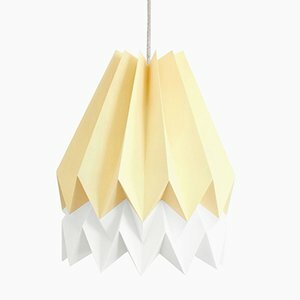 Remember this is also an eco-friendly choice with the advantage of reducing your energy bill. 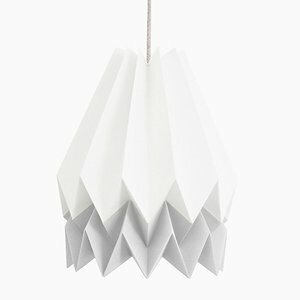 Origami is shipped mounted in a cardboard box. 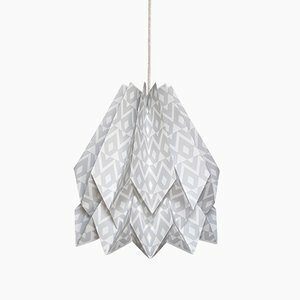 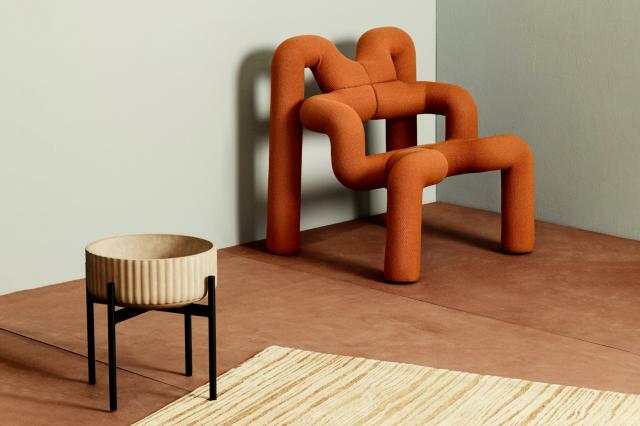 The product comes with instructions and with an ethical statement. 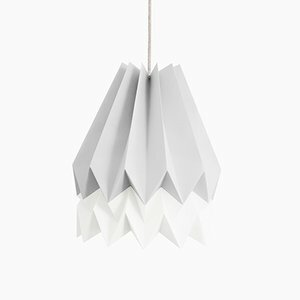 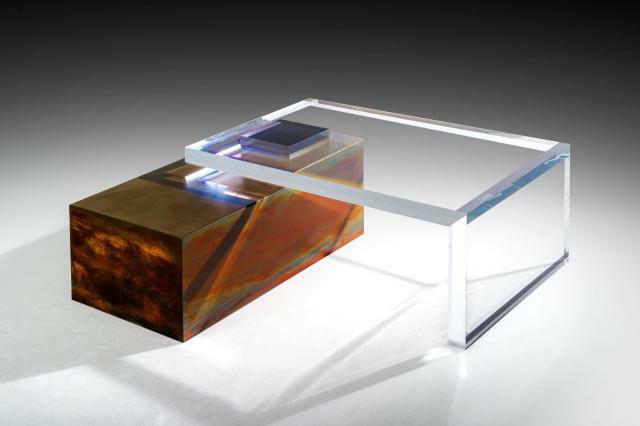 Use a feather dust or a soft cloth to remove the dust particles. 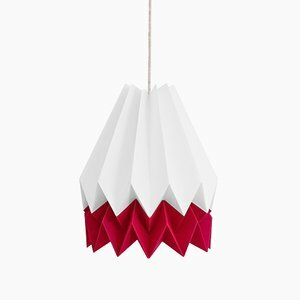 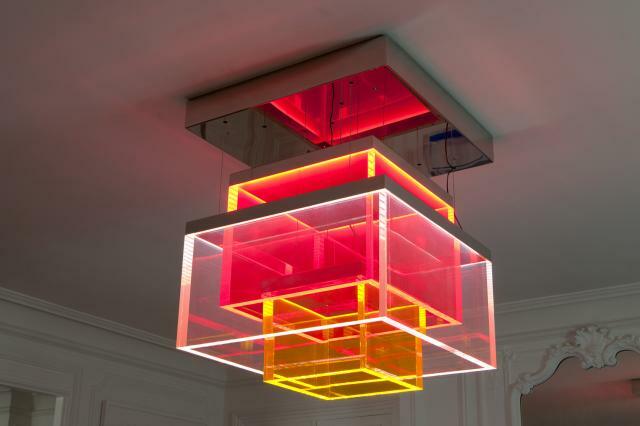 This lamp is polar white and strawberry with a white 1 m long cable.